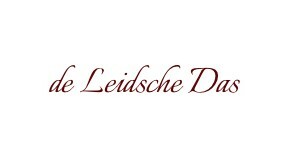 These general conditions apply to all sales, services, transactions and deliveries of the Leidsche Das. The conditions are freely accessible via our website. By placing an order, the customer agrees to these conditions. Data is stored and used to process your order and possibly to contact you in the future. Your data will not be disclosed to third parties without your consent. Our website uses web analysis software. Discounts have an expiration date, after this date the right to the discount expires. No more than one discount can be used per order. We reserve the right not to honour any discounts. Through the Distance Selling Act a consumer has the right to return goods that are not made to measure within 14 days. Tailor-made goods, goods that have been produced according to the buyer’s specifications, are explicitly excluded from this regulation. We always strive for satisfied customers. You can expect that our product meets the quality standards as stated on our website and that your personal wishes are taken into account. If you are not satisfied, we will do our utmost to find a suitable solution together with you. The obligation to pay does not expire. When sending us images, designs or logos, you agree to have the full rights to them. You give us permission to use them. A work made by us, e.g. a design, remains the property of the designer and may not be used without permission. After inspection or delivery to the customer, the work made by us may not be distributed to third parties. An order is binding. When cancelling an order already placed, the costs may be charged in full to the customer. Communication is subject to printing and typesetting errors, no liability is accepted for such errors. After placing an order, the customer is obliged to pay within 14 days. Prepayment may be required. Bank transfer is always a valid method of payment. In case of late payment, the customer is charged with the payment of collection costs and legal costs. As with any manual work, deviations can occur. We will make every effort to minimize these, but cannot accept any liability for them. In the event of a deviation in the quantity delivered, we will compensate proportionally. Given delivery times are no more than an indication and may differ from the actual delivery time due to various factors. Delays are no reason to dissolve the agreement or order. Risks before shipment to the customer are for the supplier, after shipment are risks for the customer. We cannot be held liable in the event of the inability to fulfil our obligations due to force majeure. Delays or failure to perform by our suppliers, network failures, strikes, government measures, transport difficulties and illness are examples of situations of force majeure. Dutch law is fully applicable.